After the massive spread of Ebola in various African countries, schools are still closed. In Sierra Leone, one of the hardest-hit nations of the epidemic, more than 1 million school kids have been out of class for several months. Though schools are yet to open; but good news is that learning never stopped for the children of Sierra Leone. Government of Sierra Leone partnered with UNICEF and other developmental organizations to launch a radio education program for the school kids. Radio program has helped students to stay connected with their studies, even though they could not attend school since long. There are 41 government radio stations where this program runs. Younger children listen to the teaching sessions in the morning and older students tune in later in the day. According to UNICEF, the lessons have become increasingly popular, even though initial response was very poor. When the program began, there were only 20 percent participants, but now about 50 percent students are engaged with the program. This is to ensure that children’s right to education is not disrupted even when schools have been closed. It’s been more than half a year of school closure. The implications can be devastating when children just stay home and lose out on their academic gains. Said, Wongani Grace Taulo, UNICEF’s education chief in Sierra Leone. Officials are planning to re-open the schools by this March, but radio education program will still continue as a complement to the classroom instructions. 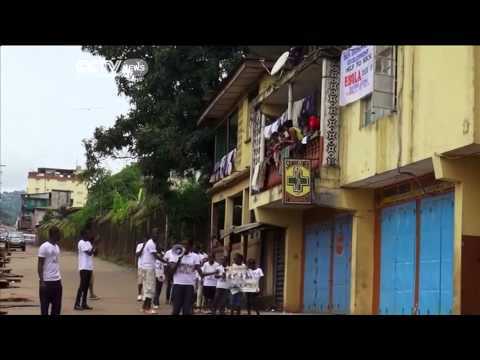 Though Ebola has devastated this country, but this unique initiative of the Government of Sierra Leone is highly commendable. Other places can definitely think of taking up this program, where classroom education is still a far cry.